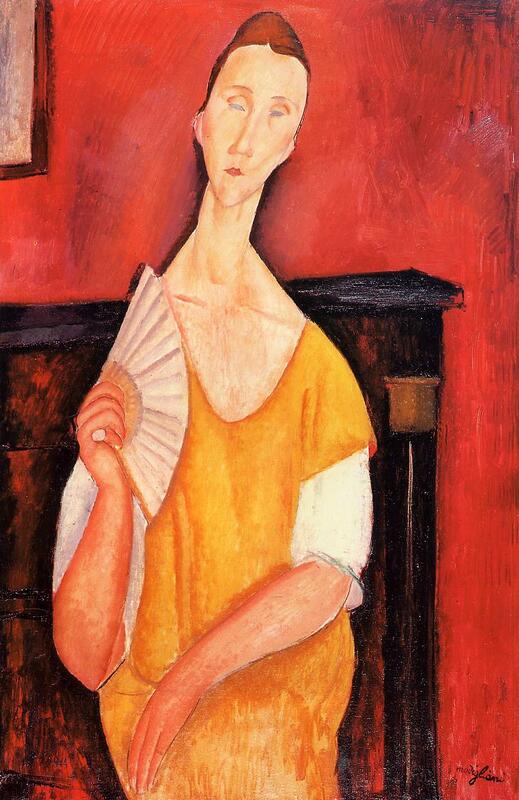 This painting, Woman with a Fan (Lunia Czechowska), is one of the may paintings painted by Modigliani about this woman Lunia Czechowska. 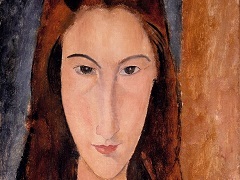 Modigliani met this lady one year before his death and painted this portrait at 3 years after he met Lunia Czechowska. 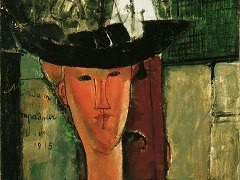 The Polish woman and her husband, Casimir, were old friends of Modigliani's patron/dealer Leopold Zborowski. other's out-of-wedlock daughter, only his death caused the artist to cease attempting to seduce Lunia. 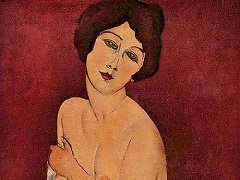 Here Modigliani shows his firm friend posed gracefully, her seated body in its yellow dress forming lithe curves against the scarlet background. Later in life, Czechowska vividly recalled sitting for Modi as he drank cheap brandy, sang, lapsed into Italian and, eventually, fell so far into the act of painting that he became oblivious to the presence of another human being. And then, there she was on canvas, left with " ... the impression of having the soul laid bare and of being in the strange position of being able to do nothing to disguise her feelings. ".